After transfering the engine/transmission to the new frame, the gas tank was changed over. The drive shaft had to be shortened. 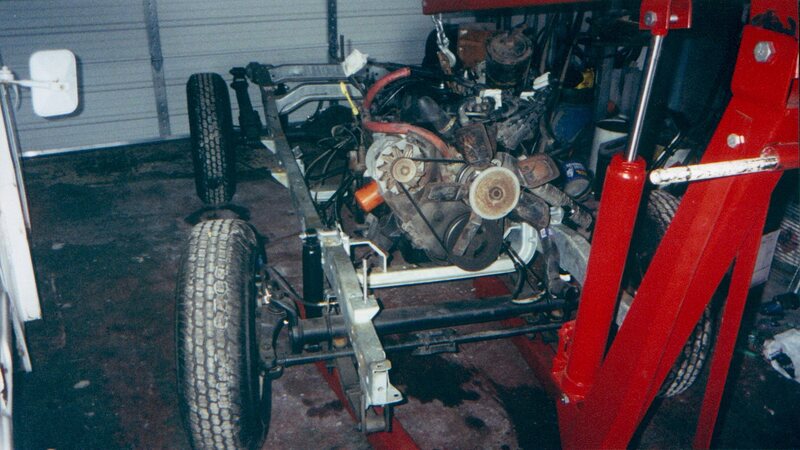 The new frame was then rolled back under the body and bolted up. Hoses and wires were connected and the rest is history.